CBD Capsules vs Oil: What’s the Difference? A few years ago, CBD oil was all the rage. In the past several months, though, it seems that the CBD capsule (aka CBD pill, CBD softgels, or CBD tablets… I’ll explain the difference a little later) have been stealing a bit of the limelight. But what exactly are these “CBD oil tablets” – and how do they differ from your “standard” CBD oil tinctures that have become so popular. 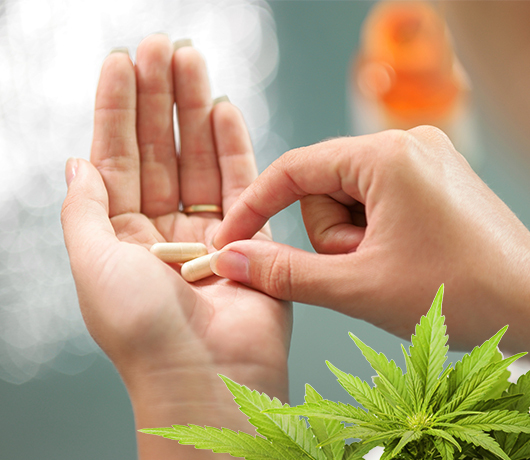 In this Shopping CBD review of the best CBD capsules for sale, I answer all of these questions – and point out some of the most reliable and effective products currently on the market. No offense, but asking how to take CBD oil pills or CBD oil capsules is like asking how to chew a piece of gum. In fact, one of the biggest draws to using CBD oil tablets is their convenience and ease of use; simply pop them in your mouth and swallow them whole with a sip of water, just like you would an ibuprofen tablet or any other kind of pill. They do, however, have a slightly different course of action than traditional CBD oil drops that you administer under the tongue. Basically, the key difference between CBD oils and CBD pills is that CBD oil is not broken down in the digestive system. When you administer drops of oil under the tongue, the active CBD component is absorb via tiny beds of blood vessels, called capillaries. Sine the CBD is absorbed directly into the bloodstream, it bypasses the metabolic breakdown processes of the digestive system, thus allowing for slightly more potent and faster-acting effects. CBD pills or CBD tablets, on the other hand, are subject to digestive breakdown just like any other kind of food that you swallow. Most of the CBD is absorbed through the gut wall and intestinal lining, eventually making its way into the bloodstream. However, some of the therapeutic effects will be diminished due to the CBD that is lost during digestive breakdown, so ultimately it’s fair to say that CBD oils are a little more effective and efficient, at least on a dose per dose basis. That being said, there are still a few reasons why many people prefer CBD capsules over CBD oils, and I will discuss these reasons here shortly. Before I get talking about my wife and I’s personal experience with “cannabis capsules” (as I sometimes like to call them), it’s important to point out that these products should not be considered a “cure” or even a guaranteed treatment option for any kind of medical condition. While there have been plenty of studies published showing potential for CBD to be able to treat a variety of different ailments and symptoms, the only thing that CBD is “medically approved” for (meaning approved by the FDA for) is epilepsy treatment. So while it’s true that both my wife and I (along with countless thousands of others) have used CBD capsules for pain, anxiety, sleep aid, and other things, you shouldn’t buy a bottle expecting to immediately be cured of whatever ailment or medical condition you’ve got. Keep your expectations realistic, spend the money on a quality and reliable brand, though, and you shouldn’t be disappointed. If you’ve read some of my other CBD reviews or glanced over the home page here on the site, you’ll know that I use CBD treatments almost every single day for chronic pain stemming from a spinal cord issue from decades of physical labor. And my wife, she uses full spectrum CBD capsules on an almost nightly basis to help her with sleep issues stemming from anxiety and insomnia. I typically stick to traditional CBD oils as I find them to be a little more potent and longer lasting (due to the reasons listed above), but I will say that I’ve experienced great results with a few different brands that specialize in CBD pills for pain relief. Premium Jane is a brand new company out of California, but their 25mg CBD gel caps seem to work incredibly quickly and last almost as long as a high-quality CBD oil. My wife, on the other hand, swears by PureKana’s popular CBD hemp oil capsules and has also had a lot of success in the past with Green Roads’ Pure CBD Capsules, which are apparently one of the best selling products on the market. As I mentioned, our top 3 favorite cannabis oil capsules based on the experiences we’ve had are Premium Jane, Elixinol, and Green Roads. There are of course others out there that probably work well, but these seem to be the three that provide the most potent and fastest-acting effects. Premium Jane CBD Capsules (25mg): Premium Jane is one of the newest faces in the CBD industry, but from everything we’ve seen so from them so far it will not be long at all before they’re battling it out with the likes of Pure Kana, Green Roads, and CW Hemp for the top spot in the market. Their softgel CBD capsules come in bottles of 30, with each capsule containing 25mg of CBD. Like I said, they worked very well for my lower back pain and lasted about 8-9 hours. 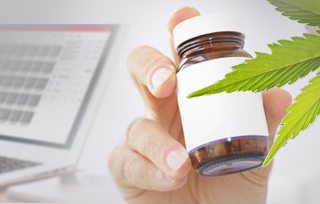 Elixinol: Elixinol’s cannabidiol capsules contain coconut extract for improved bioavailability, and they are certainly one of the highest rate CBD pills on the market. They come in bottles of 60 (for a month’s supply if you’re taking two a day), and each capsule contains 15mg of CBD and 375mg of hemp oil. Green Roads: Green Roads CBD capsules are by far the most affordable of our top three favorite brands, and you can pick up a bottle of 30 (with each capsule containing 25mg CBD) for $59.99. For some reason, though, even though they’re the same potency as the Premium Jane softgels, they Premium Jane ones seemed to have a much more noticeable effect on me for my pain. My wife, however, really likes the Green Roads ones for helping her get to sleep at night. For some reason, CBD oil capsules for sale seem to be a little more expensive than regular CBD oil tinctures, and I’m still trying to figure out why this is the case. Like I just mentioned Green Roads pills are relatively reasonable at $59.99 for a 30-count bottle, but a higher quality capsule (like the softgels from Elixinol or Premium Jane) will set you back around $80. You can surely find cheap CBD oil pills for sale at places like vape shops and grocery stores (even a lot of gas stations are carrying them now), but trust me – the majority of these products are absolutely useless and will be nothing but a waste of money (that’s speaking from experience). In terms of the never-ending CBD oil vs CBD pills debate, the people that prefer cannabis capsules like them simply because of their ease of use. When you use CBD oil you have to use the dropper bottle to place drops under your tongue, often times having to count the number of drops in order to know how much CBD you’re actually taking. With CBD pills on the other hand, you know the exact dose that you’re getting each time, and taking them is as simple as swallowing them down whole with a sip of water. Also, it’s worth pointing out that you have to hold CBD oils under your tongue for about a minute before swallowing, which many people find tough to do. Again, CBD capsules are much simpler to use in this regard. Also, CBD capsules are much more discreet if using out in public. If you whip out a bottle of CBD oil and start placing drops under your tongue at a public park or something, people are going to look at you and wonder what the heck you’re doing. 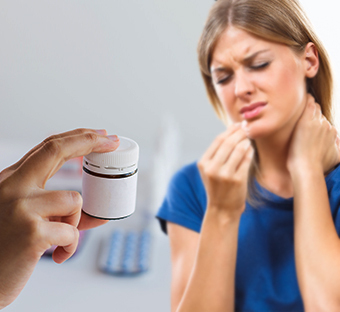 Popping a capsule or pill in your mouth and swallowing, on the other hand, is of course a very normal occurrence that no one will bat an eye at. Leilani from Ashburn just bough! Margot from Ashburn just bough! Braden from Ashburn just bough!